Emotional traumas have been known to affect people in a variety of ways. Stress from being traumatized and the trauma itself can have a number of ill effects on the surviving person. Anxiety, insomnia, irritability, depression and changes in appetite are just a few of the many effects emotional trauma can have. Research has also revealed that emotional traumas that are not dealt with can also cause cancer . You may be wondering how that is even possible. You see, untreated emotional traumas can lead to your body being in a constant state of stress. A number of studies have found that this heightened, chronic stress can actually reduce immune system function. A recent review of over 100 studies has also revealed that chronic stress can cause the sympathetic nervous system (SNS) to actually induce metastasis. The SNS is the primary system behind our “fight or flight” chemical response. The SNS normally activates in situations where a threat or danger is perceived. After the threat is over, the SNS shuts off its dispersion of hormones and chemicals, and the body returns to its normal, homeostatic state in about an hour. For people who have experienced an emotional trauma and are under chronic duress, however, the SNS does not really ever turn off. When the SNS is constantly “on,” adrenaline and noradrenaline-stimulating mechanisms within it have the potential to disrupt or alter genetic codes. These alterations can lead to a variety of cancer-causing developments. Inflammatory responses are activated, immune responses are inhibited, angiogenesis is stimulated and much more. Apoptosis, or programmed cell death, is often turned off, DNA repair is inhibited and cancer stem cells are created. 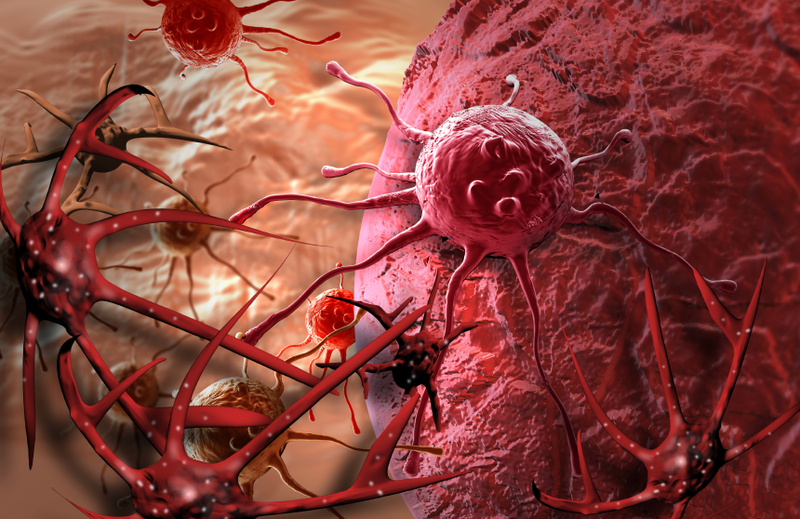 Through any number of these pathways, cancer can inevitably be created. Emotional traumas are serious, and when left untreated, they can cause even greater harm to the person suffering with them. There are a number of therapies available to help people overcome their trauma. In addition to seeing a therapist, participating in meditation and engaging in meditation or other relaxation techniques can help to relieve some of the stress, soothe the soul, and reduce the risk of cancer.